November 13, 2014. CAC AmeriCorps City of Knoxville Parks and Recreation member Rebecca Gronewold’s work with Google Trekker. Google Maps extends to include trail views. April 7, 2015. National Service programs are recognized at Knoxville’s Mayor’s Day. Mayor’s Day Of recognition for national service. June 9, 2015. One of our sites continues to grow and excite surrounding community: Community farm in Knoxville is expanding. Summer 2015. Town of Farragut features CAC AmeriCorps members and their accomplishments after a full year of service. AmeriCorps National Service. August 2015. City of Oak Ridge welcomes new CAC AmeriCorps members. Welcome to the City of Oak Ridge. October 23, 2015. Spotlight on CAC AmeriCorps efforts to collect donations for S.C flood victims: Food, supplies gathered for S.C flood victims. November 8, 2015. Expansion and CAC AmeriCorps Water Quality Team members hard at work: AmeriCorps looking to expand in region. December 15, 2015. Our members on the GSMNP Forestry team’s efforts fighting the Hemlock Wooly Adelgid are featured: Hemlock treatment ongoing in Smokies. January 19, 2016. CAC AmeriCorps, along with CAC Beardsley Farm and CAC Weatherization win an award for our green efforts. Congratulations, CAC! Green Light Award Recognizes Leadership in Advancing Sustainability. March 3, 2016. 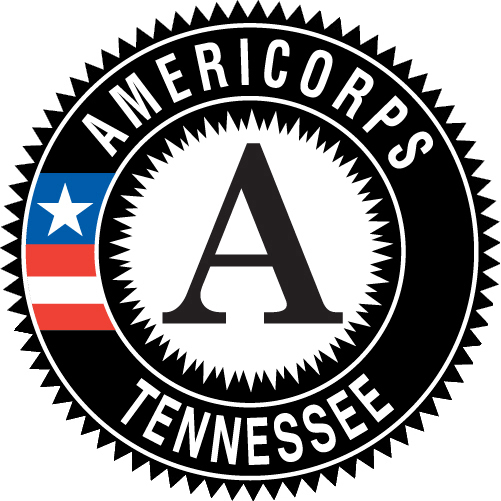 Trail project lead by CAC AmeriCorps staff wins grant funding: Knoxville SOUP: Soliciting proposals for new community projects. 2005. Tennessee Department of Environment & Conservation. Excellence in Environmental Education and Outreach. 2000. Knoxville News Sentinel. Environmental Achievement Award.